Broom, R. (1913-14): In: W. K. Gregory: Conference on convergent evolution, including a summary of the recent discussion before the British Association for the Advancement of Science, reading by W. K. Gregory, H. F. Osborn, A. W. Grabau, W. D. Matthew and R. Broom. - Annals of the New York Academy of Sciences, 23(for 1913), 295-299. New York. Broom, R. (1916): Evolution and mendelism. - Science Progress in the Twentieth Century, 11, 220-227. London. 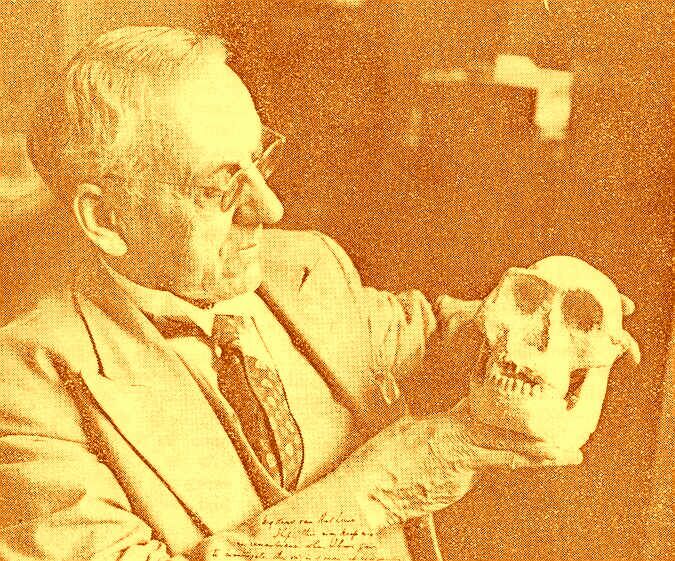 Broom, R. (1930): The Origin of the Human Skeleton: An Introduction to Human Osteology. Witherby. London. Broom, R. (1932a): Evolution as the palaeontologist sees it. - South African Journal of Science, 29 (Pressidential Address to Section D), 54-71. Johannesburg. Broom, R. (1932b): Evolution - design or accident, p. 35-47. In: Our Changing World View. Johannesburg. Broom, R. (1932c): The Mammal-like Reptiles of South Africa, and the Origin of Mammals. Witherby. London. Broom, R. (1933a): Evolution - is there intelligence behind it? - South African Journal of Science, 30 (Pressidential Address), 1-19. Johannesburg. Broom, R. (1933b): The Coming of Man - Was it Accident or Design? Witherby. London. Broom, R. (1950): Finding the Missing Link. Watts. London. Broom, R. - Robinson, J. T. - Schepers, G. W. H. (1950): Sterkfontein Ape-Man, Plesianthropus. Transvaal Museum. Pretoria.